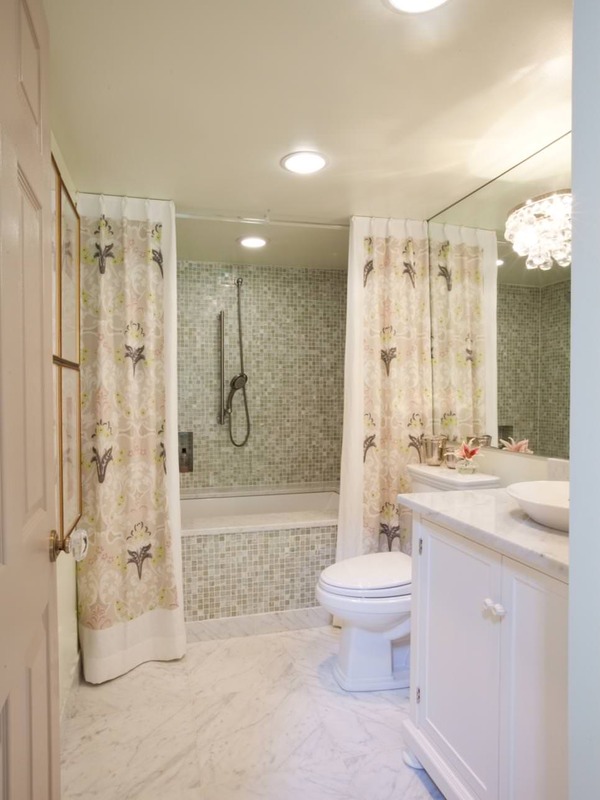 Shower curtains play an indispensable part of home decor as it sheers up your environment and at the same time ensures a cozy seclusion to you. 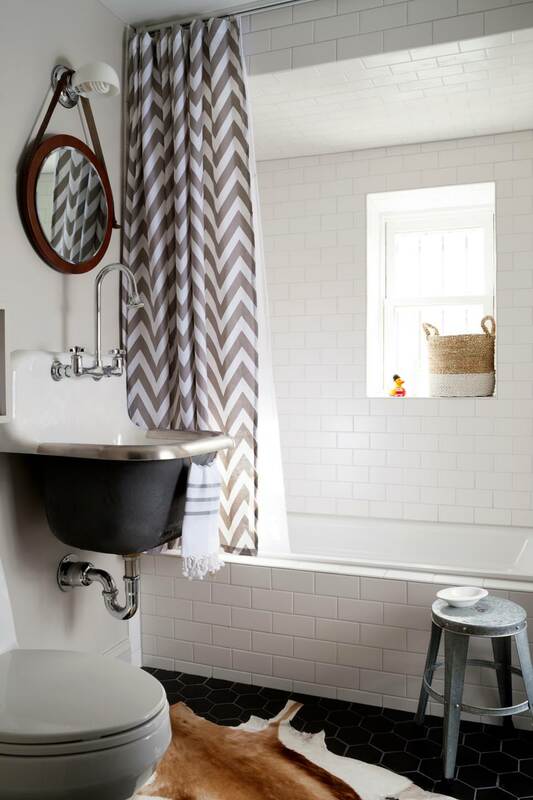 Choosing the right curtain for your modern bathroom design gives you an opportunity to create a beautiful theme inside your bathroom. 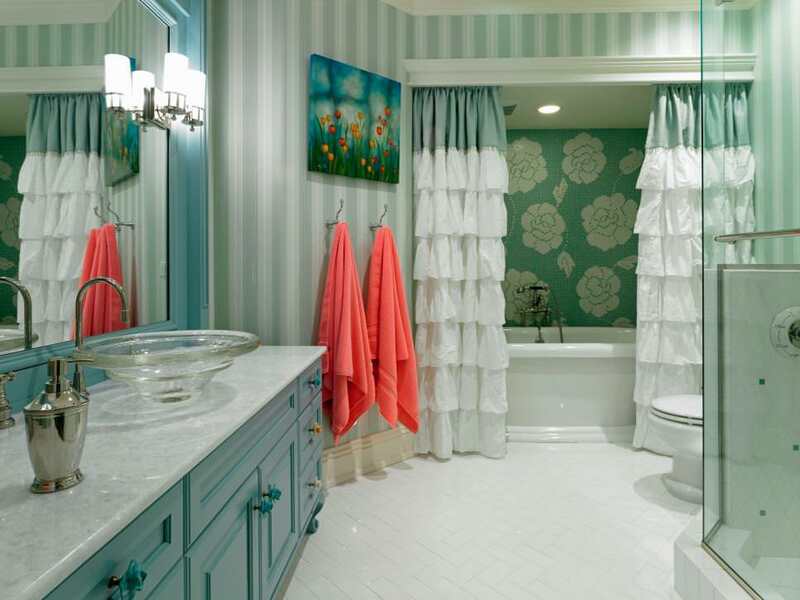 It is a very traditional concept and earlier, curtains were mostly made of polyester fabric with pastel shades. 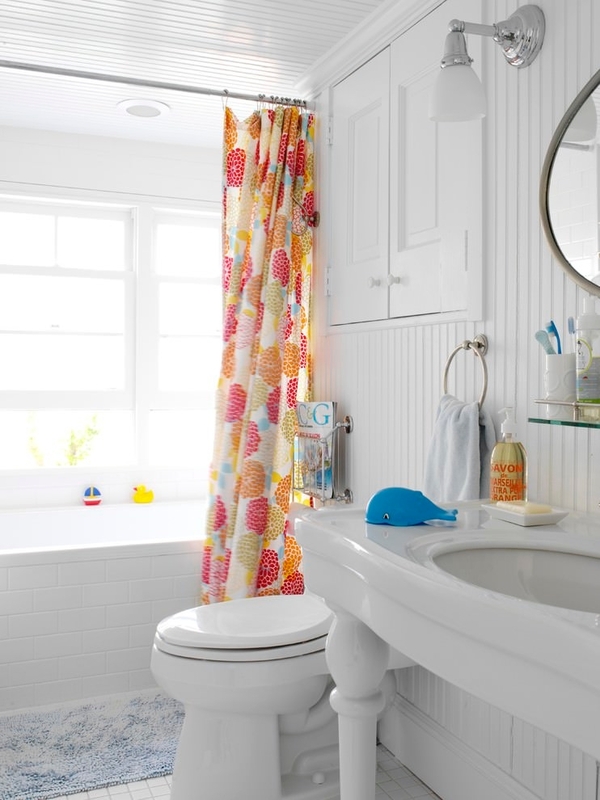 You can also make a curtain all by yourself if you have an unused piece of cloth at your home. 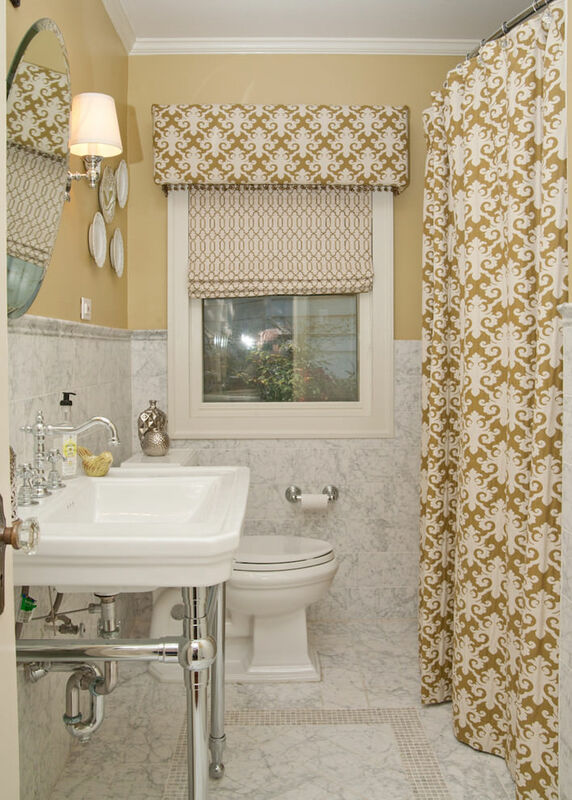 In these days, bathroom curtains are very much in vogue with different innovative motifs on the exterior. 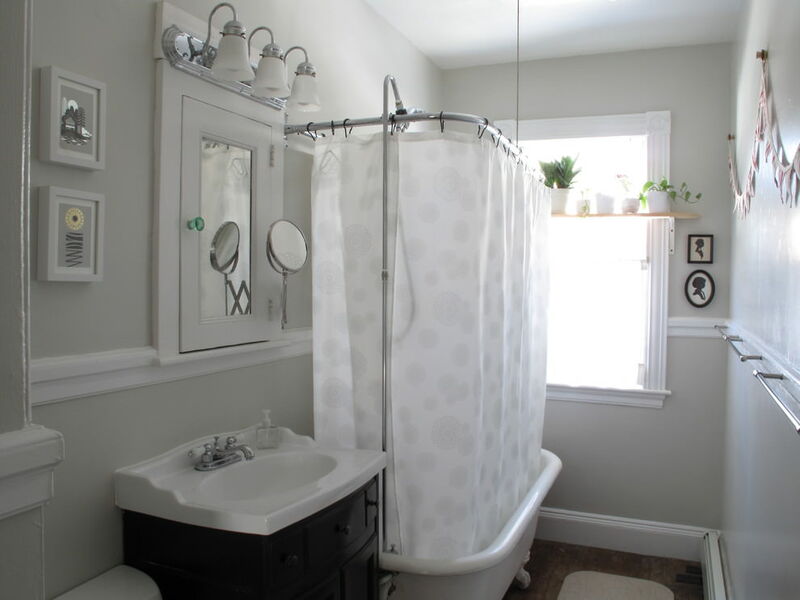 The best thing about a shower curtain is you can make it yourself without much effort and time. 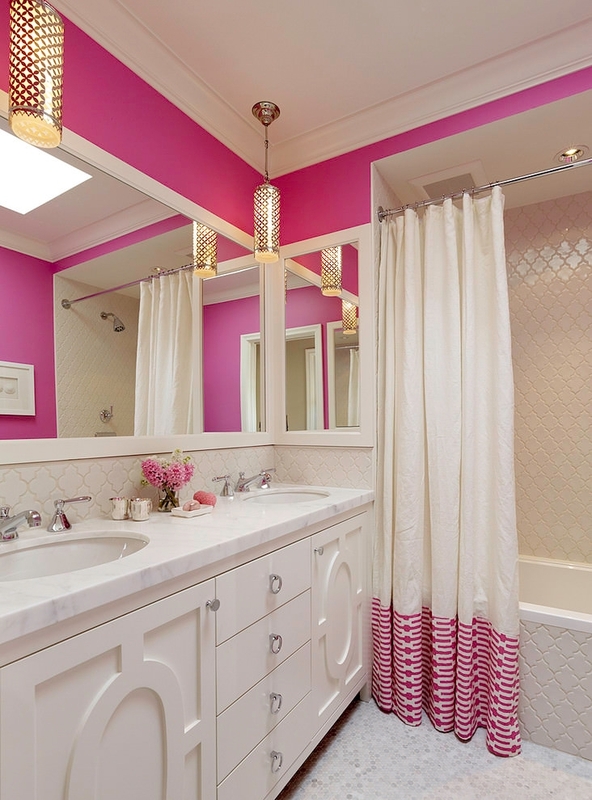 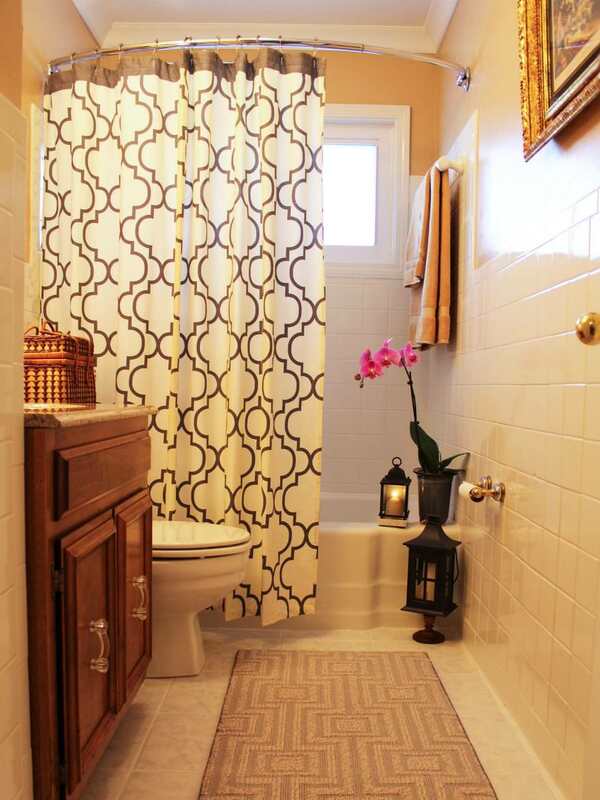 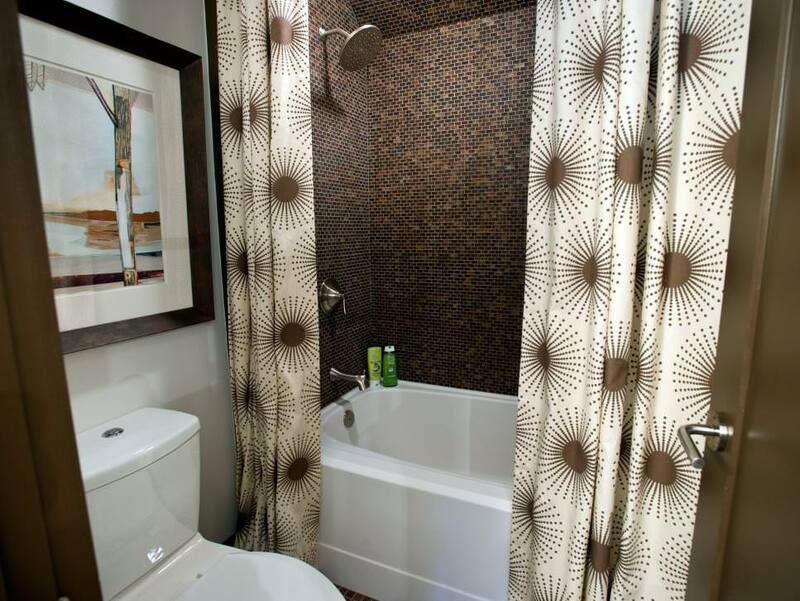 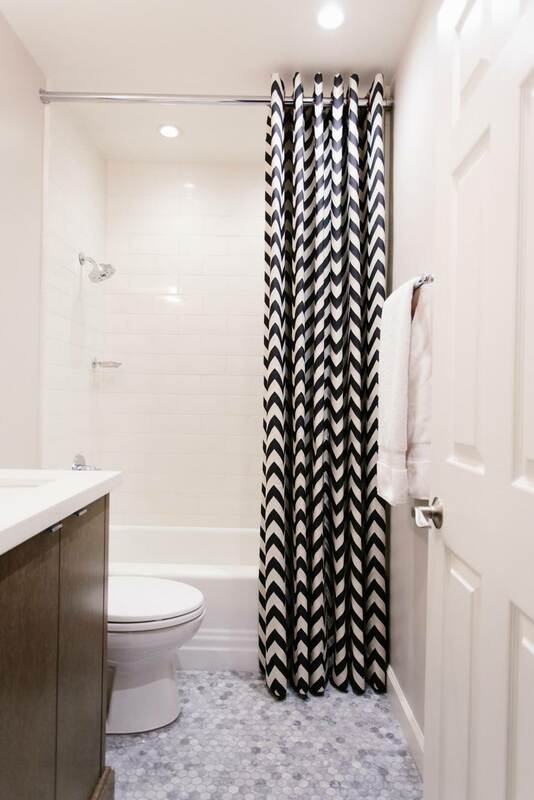 Geometric motifs are very trendy and they add plops of color to your bathroom. 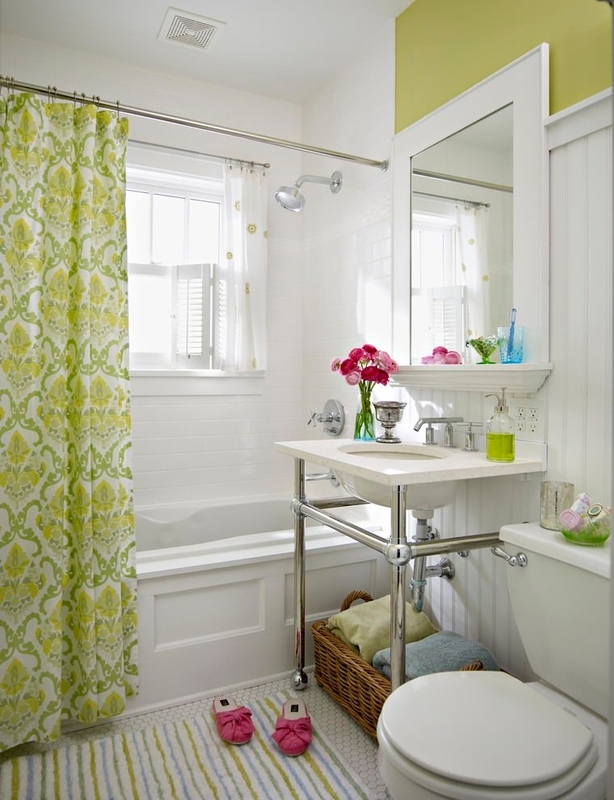 For that you can stitch pieces of colorful cloth on the curtain and make some abstract motifs. 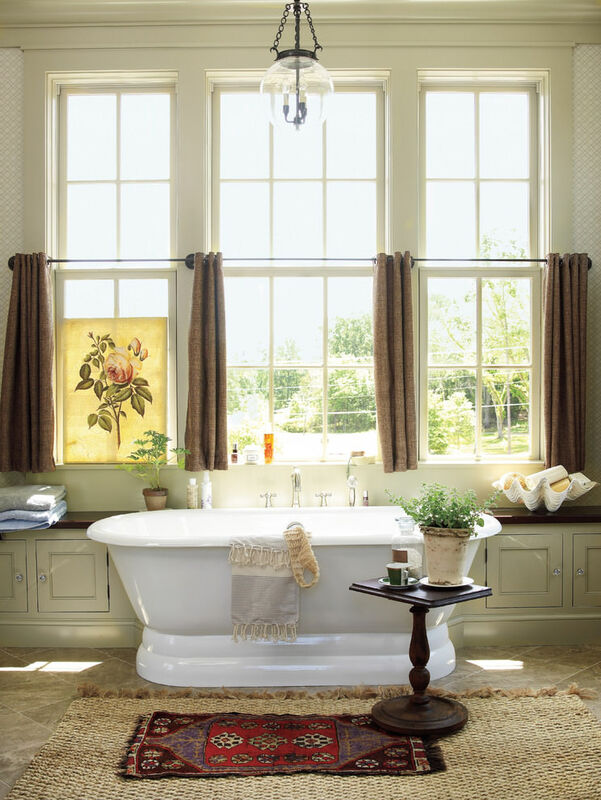 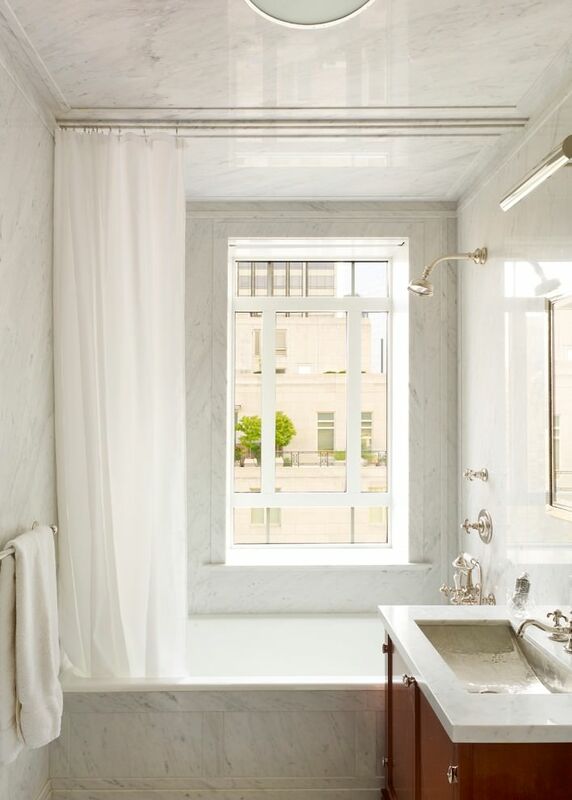 Various types of curtains can be made to make your bathing zone look interesting and invigorating. 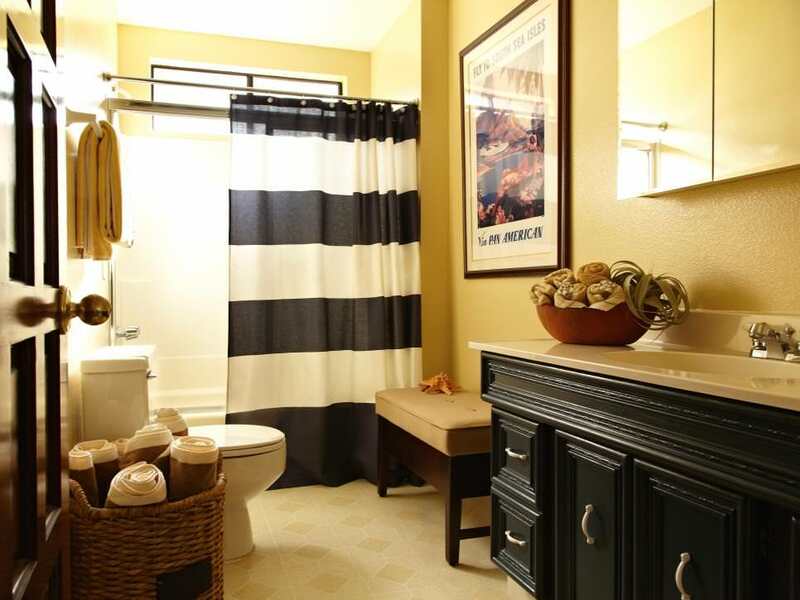 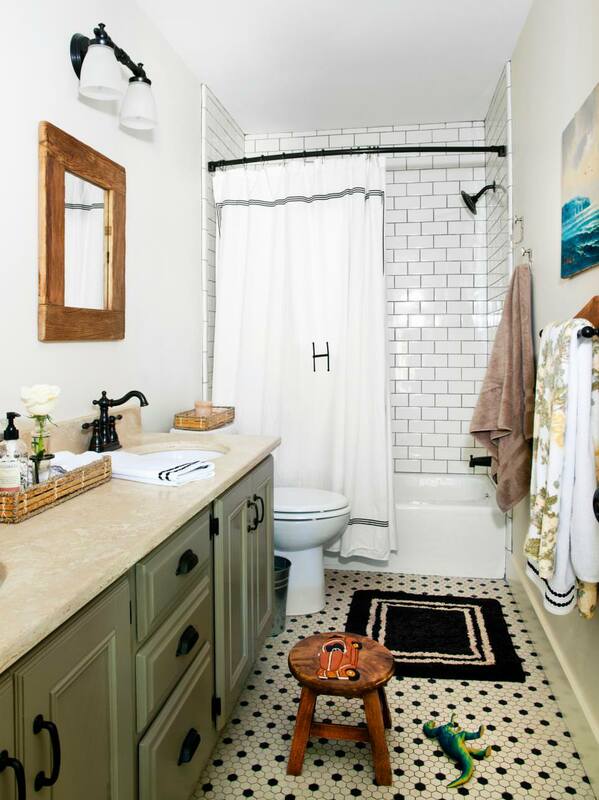 You can make a shower curtain for your bathroom which is chic yet classy; go for a black and white striped combination. 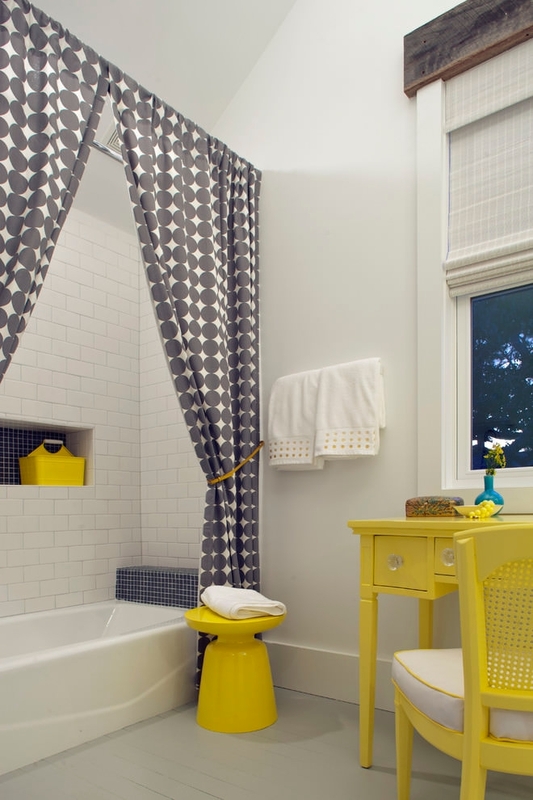 If you want a complex pattern on your curtain you can make ruffles with various fabrics and arrange them on your curtain based on the darkness of shades. 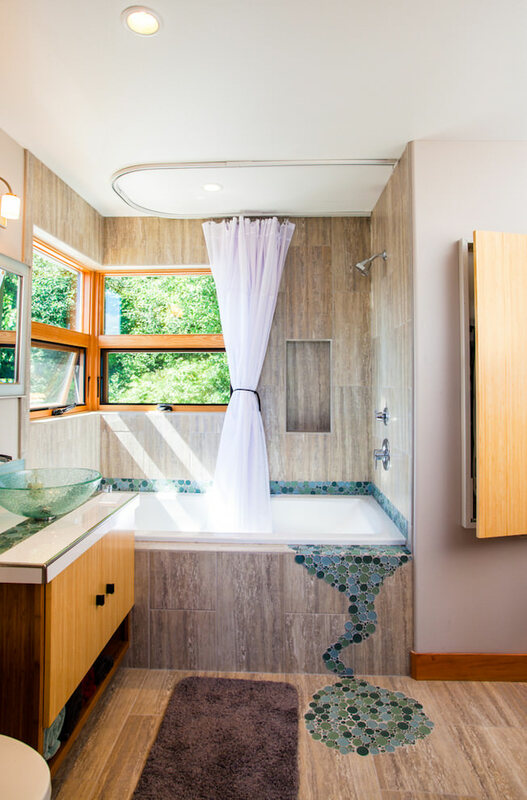 While planning for renovation, you should consider your purpose, budget and elegance for a completely wondrous bathroom remodeling.